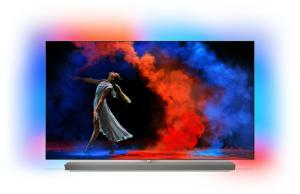 IHS Markit says that high demand for OLED TV panels has enabled LG Display to increase its asking price, and the average selling price (ASP) of OLED TVs have risen from $695.47 in Q1 2018 to $712.48 in the second quarter. IHS expects LGD to increase the price to $731.9 in Q3 and $729.96 in the Q4 2018. IHS estimates that LG Display will ship a total of 2.54 million OLED TV panels in 2018 - much less than what was claimed in a surprising post in Korea last week (3.7 - 3.8 million). IHS sees the market growing to 3.6 million units in 2019, 6 million units in 2020 and 9.35 million units in 2022. IHS posted an interesting article which details a new backplane technology that Apple is developing. So-called Low-Temperature Polycrystalline Oxide (LTPO) combines both LTPS TFTs and Oxide TFTs (IGZO, Indium Gallium Zinc Oxide). LTPO is applicable for both OLED and LCD displays. In LTPO, the switching circuits are using LTPS while the driving TFTs will use IGZO materials. 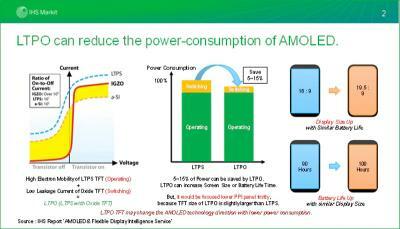 This could lead to a power saving of around 5-15% compared to the currently-used LTPS backplanes. 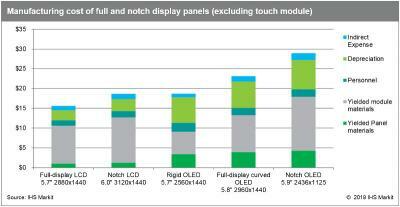 The main drawback of LTPO, however, is that the IGZO TFTs are larger and so the display density may be compromised. IHS says that Apple may introduce this into future iPhones - but it also says that LTPO will be limited to low-density displays at first which is a bit confusing. According to IHS, flexible AMOLED shipments reached 157.6 million units in 2018 - about 38.9% of the total AMOLED market (rigid + flexible). 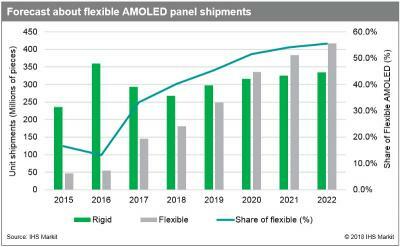 Flexible OLEDs will grow at a much faster rate than rigid OLEDs, and shipments will exceed those of rigid OLEDs by 2020 (335.7 million units). 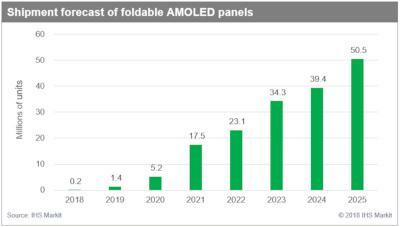 In 2022 over 400 million flexible AMOLED panels will be produced, compared to around 340 million rigid AMOLEDs. IHS sees demand for flexible OLEDs by smartphone brands that want to diffrentite their products using curved displays and full-screen ones. Foldable displays are also expected to be a key technology for mobile devices in the foreseeable future. IHS says that LG Display is the world's leading AMOLED supplier for smartwatches and wearables. 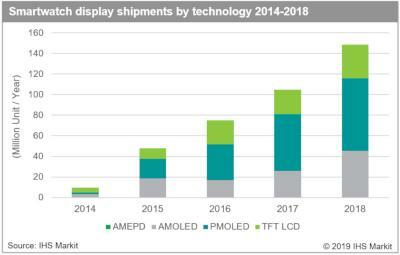 In 2017 LGD shipped 10.64 million AMOLED displays for smartwatches - and it holds a market share of 41.4% (the total market was 25.7 million units in 2017). 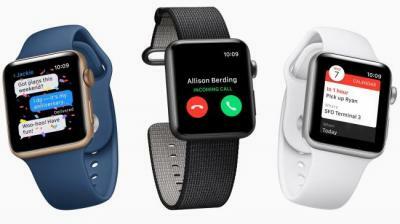 LG is the exclusive supplier of AMOLED displays for Apple's watch. Samsung Displays is the 2nd wearable AMOLED Producer, with a 34.8% market share. Everdisplay has a 16.2% share and AU Optronics shipped 5.7% of all wearable AMOLED shipments in 2017. BOE is the fifth largest AMOLED wearable maker with a market share of 1.5%.